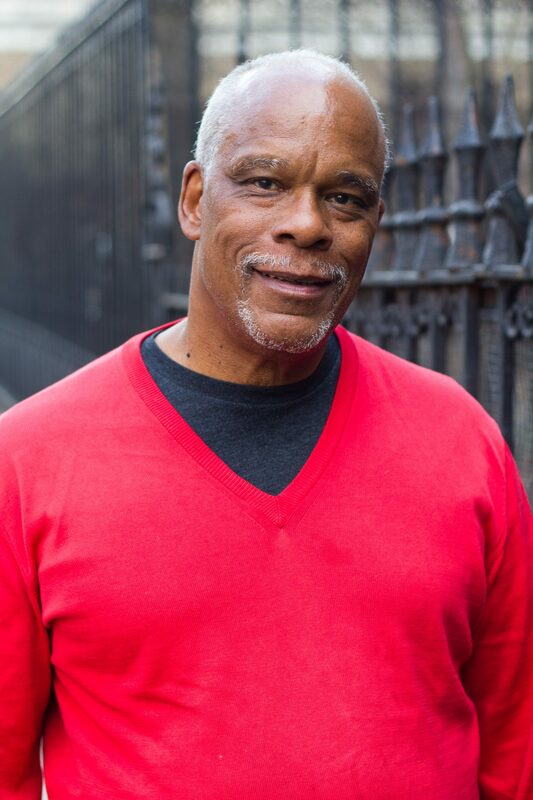 Screens on April 24 at SECCA at 5 p.m. and on April 25 at A/perture at 10 a.m. Stanley Nelson will be in attendance for the screenings and will speak at the Milton Rhodes Arts Center on April 24 at 1:30 p.m.
Acclaimed documentary filmmaker Stanley Nelson’s newest work The Black Panthers: Vanguard of the Revolution is chock-full of compelling interviews, but Wayne Pharr delivers the most chillingly poignant moment of the film. The scene comes deep into the almost two-hour piece, which provides the most comprehensive and fascinating narrative of the controversial black power organization on film — a gripping portrait for both newcomers and those steeped in party lore. Pharr and Roland Freeman take turns recounting their experience in a shootout with the LAPD when the police attacked a Panther compound, sharing fascinating details like putting cigarette butts in their nostrils to avoid succumbing to gas inhalation. Director Stanley Nelson, who is RiverRun’s 2015 Master of Cinema honoree, wove archival footage of the police assault as the Panther interviewees tell how a comrade was shot as she defended the house and how the small cadre surrendered after a long exchange of gunfire. Staring into the camera with piercing eyes, Pharr powerfully describes how he felt holed up with Freeman and others. Pharr, who was 19 at the time, goes into more detail in his book Nine Lives of a Black Panther. He passed away last September, followed soon after by Freeman in October. The two men were Nelson’s favorite interviewees in The Black Panthers. The whole narrative works seamlessly, beginning with the masterful setup in the opening scene from Ericka Huggins, one of the more famous Panther alumni. Much has been produced about the Black Panther Party, but the stories frequently orbit around the experience of individuals, such as the 2001 film A Huey P. Newton Story and The Murder of Fred Hampton or memoirs by figures including Assata Shakur and Mumia Abu-Jamal. Pharr isn’t the only interviewee to write a book about that era — A Taste of Power by Elaine Brown, Will You Die With Me? by Flores Forbes and the newer Panther Baby by Jamal Joseph are all fascinating reads. But what Nelson does, and does so well, is hold those interlocking histories together to illuminate “the entire thing,” as Huggins says. 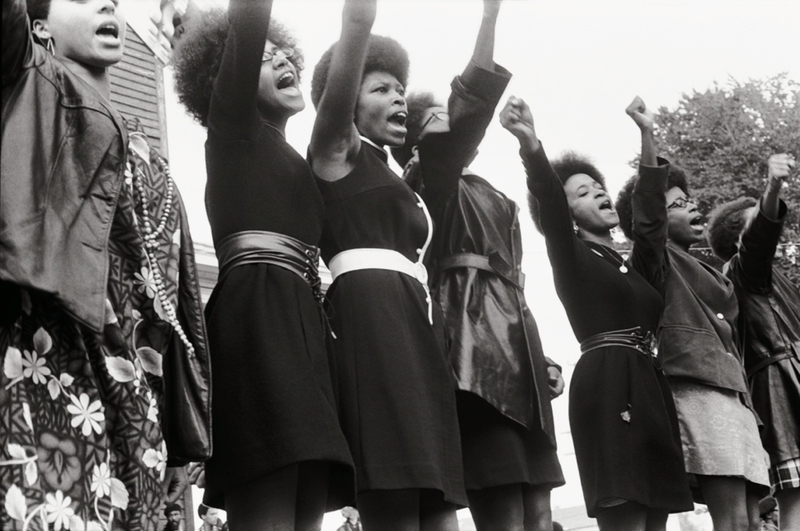 The Black Panthers highlights the “boldness, arrogance and courageousness” of the organization, as one interviewee describes it, chronicling from the beginning how the party held the seeds of its own destruction and articulating the nefarious role the FBI played in the Panthers demise. It was a challenge to depict the nuances of the organization, Nelson said, balancing unflattering stories about Newton and others with other components of the organization’s history to create a coherent picture. Nelson, an Emmy Award-winning filmmaker known for Freedom Riders, The Murder of Emmett Till and Marcus Garvey: Look for Me in the Whirlwind among others, proves he is the man for the job. With help from PBS, the Ford Foundation and independent television service ITVS, he capably unpacks the Panthers complexity through footage unlike any existing content on the subject, interviewing a former FBI informant, police officers (including one who says: “I think we did establish that we were the dominating force”), historians and Panthers of various stripes of fame. Together they tell the essential stories: the armed protest at the California state legislature, the murder of Fred Hampton, the trials of co-founders Newton and Bobby Seale, the sham Panther 21 case in New York City, the split between Eldridge Cleaver and Huey P. Newton, the Panther programs and Seale’s run for mayor of Oakland. But even for those very familiar with the Black Panther Party’s history, there are many enthralling insights. Like Flores Forbes talking about shaking down drug dealers to generate revenue, or the sexism within the party. “We didn’t get these brothers from revolutionary heaven,” Elaine Brown says. 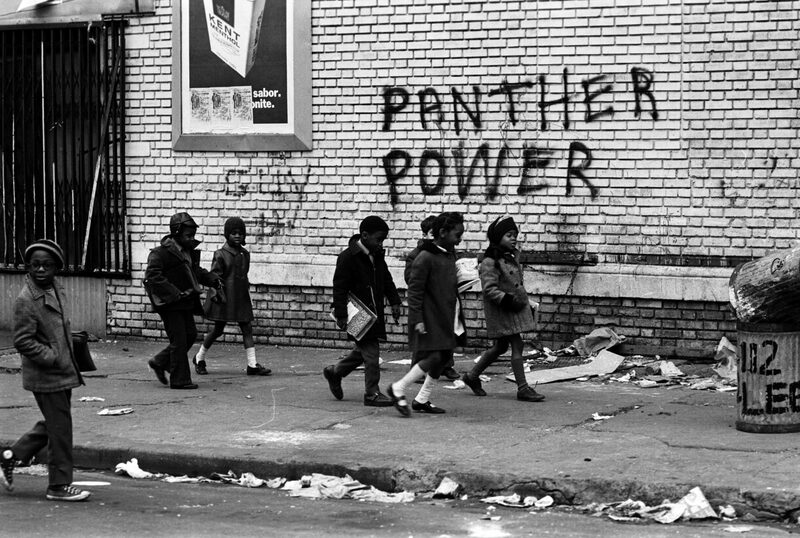 Nelson was 15 and living in New York when the Panthers were founded, and like many others, particularly other Northern, black teenagers, it attracted him even though he only watched from afar. One of the things he gravitated towards was the drawing of Emory Douglas, whose work was splashed across the party’s newspaper that members sold on streetcorners (and who, coincidentally, attended a Panthers reunion in Winston-Salem in 2012). Nelson talked to scholars and realized that Douglas’ drawing held significant importance in the image and growth of the party, including the Panther’s innovative depiction of pigs as uniformed, standing police officers. It’s stories like these — which includes an interview with Douglas — that other material about the Black Panther Party generally glosses over. And that is Nelson’s core triumph: distilling a complicated history into an appropriate primer while bringing new insights for party faithfuls in a masterfully clear and riveting manner.